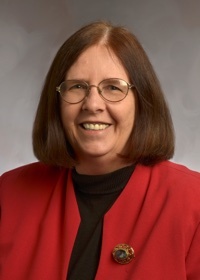 Carol Tenopir is a Chancellor’s Professor and Board of Visitors Professor at the School of Information Sciences at the University of Tennessee, Knoxville. Her areas of teaching and research include: information access and retrieval, electronic publishing, and the information industry. She is the author of five books, including, Communication Patterns of Engineers, winner of the American Society for Engineering Education, Engineering Libraries Division 2005 Best Publication Award, (IEEE/Wiley InterScience, 2004) with Donald W. King. Dr. Tenopir has published over 200 journal articles, is a frequent speaker at national and international conferences, and for 28 years wrote the “Online Databases” column for Library Journal. She is the recipient of the 2009 Award of Merit from the American Society for Information Science & Technology (ASIST), the 2002 ASIST Research Award, and the 1993 ASIST Outstanding Information Science Teacher Award. In addition, Dr. Tenopir received the 2010 Outstanding Alumnus Award from the University of Illinois GSLIS, the 2000 ALISE Award for Teaching Excellence, and the 2004 International Information Industry Lifetime Achievement Award. Dr. Tenopir holds a PhD degree in Library and Information Science from the University of Illinois.